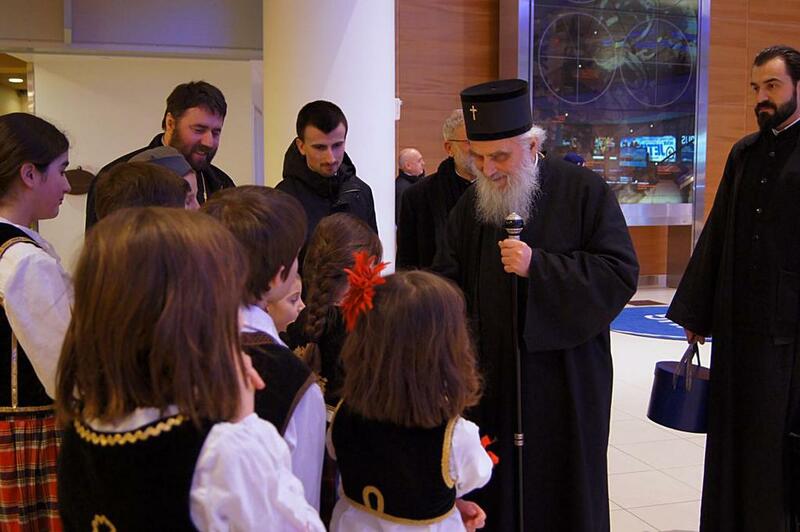 Winnipeg, Manitoba - Under very cold tempertures, at minus 35 degress, the Serbs from Winnipeg, together with their children, welcomed His Holiness Serbian Patriarch Irinej at the airport. His Holiness was accompanied by Prota Vasilije Tomic and Protodeacon Damjan Bozic. Some thirty faithful awaited His Holiness, bearing the traditional Serbian pogach and salt. 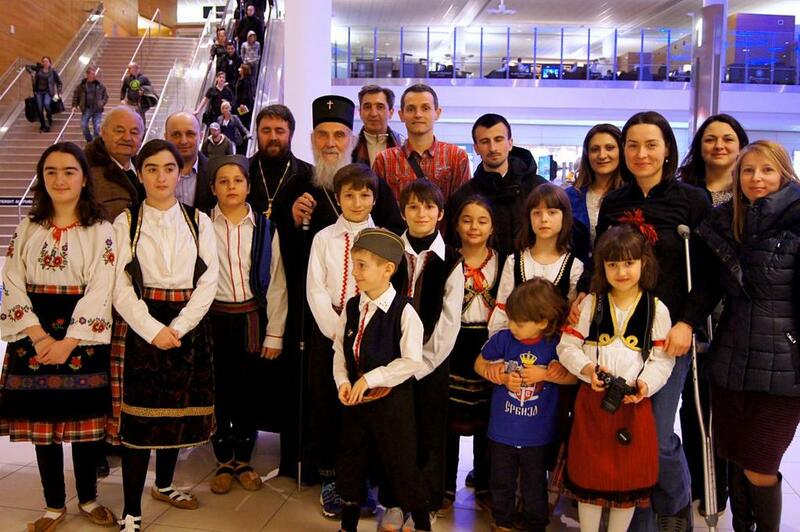 The same evening, Zdravko Bajatovic prepared a dinner for the Patriarch and those accompanying him as well as member of the St. Sava church school congregation. Early Saturday morning Prota Radovan Maric, once parish priest of Winnipeg, with the Proskomedia began preparations for the Divine Liturgy. Before liturgy, in which Fr.Taras Udod of the Ukrainian Church and Fr. 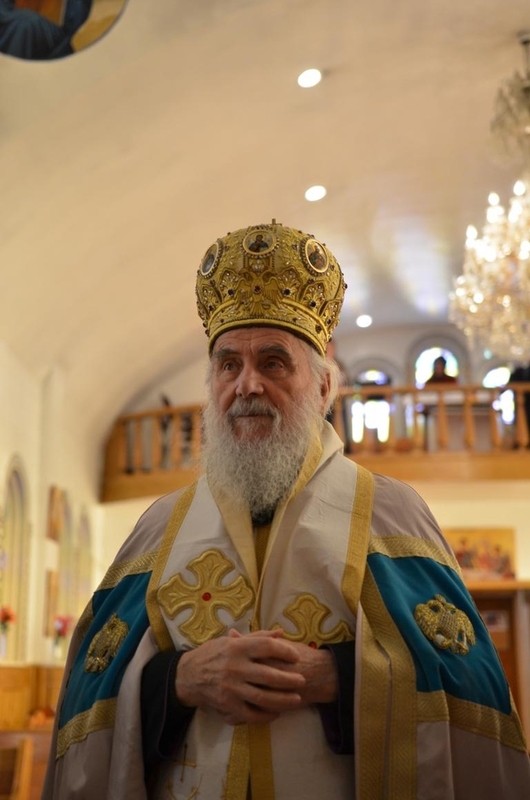 Roman Pavlov of the Romanian Church also concelebrated, His Holiness bapitzed Pavle Milutinovic, son of the Winnipeg parish priest as well as Sara Djelmo, the daughter of the priest's kum. 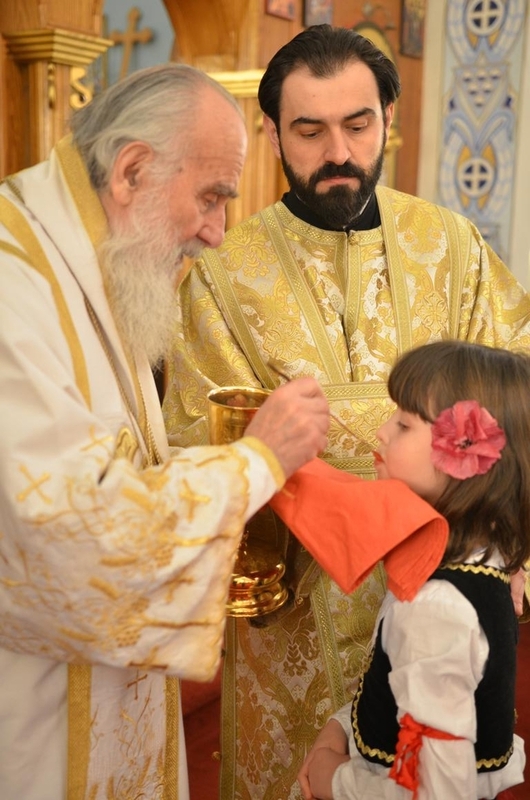 The faithful filled the church at the Divine Liturgy and many of them received Holy Communion from His Holiness. Members of the St. Petka Kolo Sestara prepared a beautiful meal which was served to all guests while the cultural program warmed everyone's heart.